By now, you’re probably an expert on the weight loss myths from ten years ago. Myths like starving yourself to lose weight (it just makes your body hold onto fat)… crash dieting for fast weight loss (effects are short term with long-term damage)… and the big one, completely eliminating one food group, like carbs or fat (completely unsustainable). But what about the new rumors going around? Here are the top five lies circulating today that will actually keep you from losing weight – if you fall for them. Don’t be so hasty to cut weight lifting out of your fitness regime. You’re not going to bulk up without a LOT of high weight, low rep lifting work along with a high-protein, high calorie diet. For weight loss, integrate both high and low rep weight sets into your fitness program to increase muscle endurance, stamina, and of course, muscle density. Higher muscle density increases your metabolism to shed pounds faster than ever. Restaurants may try to tempt you with specially marked “low calorie” and “heart healthy” items. Don’t fall for it. Unless you’re cooking your food in your kitchen, you probably have no idea what butter is being slathered over your meals, what oil is being used for cooking, or how nutrient depleted your veggies are. Unless it’s filled with a variety of dark leaves like arugula and kale, colorful vegetables, lean meats or seafood, and goodies like julienned carrots and diced egg, then salad is not a meal, it’s a side. Plain iceberg lettuce is 95% water, which is why your body will be unsatisfied, most likely leading to a binge later. Eating is as much about filling your stomach as it is satisfying your eyes and taste buds, so don’t be afraid to enjoy something more filling. You might feel a little bit sick if you eat a big meal and then go for a long run, but exercising on a hungry stomach is counterproductive. You need energy for an effective calorie- and fat-burning workout. Without it, the intensity of your exercise – and your results – will suffer. Plus, once you get back, you’re going to be so hungry that everything in the fridge will be fair game. Any magazine at the checkout counter can tell you how to lose weight. The trick is keeping it off once you lose it. You have to make lasting changes to get lasting results. That sounds suspiciously like a never-ending weight loss diet, doesn’t it? And never-ending exercise. And never-ending whatever else it is you have to do to lose weight. If you dread the actions you take to lose weight, you won’t continue doing them. Whether you quit before or after you reach your weight loss goal is irrelevant, because eventually you’re going to quit doing what you hate. And then you’re going to put the weight right back on your body. Probably with a few extra pounds for good measure. Here’s a better way. Pick one simple thing you can live with – and maybe even enjoy – that represents an incremental improvement in your physical fitness. Then do that one thing. Once that small change has become an ingrained habit, which may take anywhere from 2-8 weeks, you’re much more likely to continue to benefit on a permanent basis. Meaning the fat you lose and fitness you gain will last. As you establish each new automatic behavior, you won’t even think twice about it anymore. It’ll simply be a part of who you are. And it won’t feel like you’re depriving yourself. Instead, you’ll gain an appreciation for how much better you look and feel with every passing day. The only question is which small change will you choose to make first? Absolutely FREE In Our Newly Updated Report! 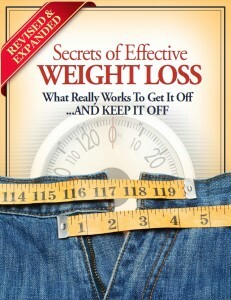 You’ve just read an excerpt from our special report, Secrets of Effective Weight Loss. 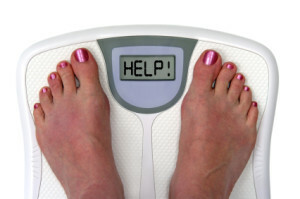 In it you’ll find literally dozens of simple, easy ways to drop pounds fast and keep them off. It’s yours free at the link below. No sign up necessary, just click the link to download the PDF right away! Click Here to Download Now – FREE!